I recently joined not one but two book clubs. One takes place here in the city in which I live, and the other an online group of ladies started by New Farmerette (Elaine). I have to say that I haven't done this much reading in a long time. I really fell off the reading wagon after having kids. Just seemed to not have the time combined with my kids not giving me a quiet moment to absorb what I was reading. I have made the choice to change it. This first review is of the book I most recently read for the first book club. Then next month I will be back to review the first book choice for the online group. At first I found this book to be a hard one to get into. I think it was the fact that the story is being told by a five year old boy. Once I became used to to that fact it became quite interesting. I found myself unable to put it down, not wanting to leave poor Jack. The story is about a woman and child who are being held captive in an 11x11 room. It goes through their daily routines to their escape and for Jack, dealing with an unknown world. The boy was born in the room and knows nothing of the outside world. He speak about the furniture and everything in the room as if it were alive, with feelings. You find out that the mother has really not told him about the world outside, most likely to protect him and it would seem he is a fairly happy and intelligent child. I found that the story flows quite well until about the middle, where I found that it all sped up. As others in the group mentioned, it may have done so cause that is essentially how things like this feel. 30 minutes feels like 5 minutes for example. You will have no choice but to look at your life in a different way. 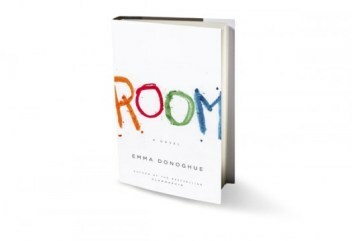 It's a long time since I read 'Room', I remember being absolutely fascinated by it and yet I knew I'd never be able to read it again. I think telling it from Jack's point of view was very clever and made it more bearable to read too. The only weakness was his escape I thought, in that it seemed unrealistic and yet, I'm not sure how else she could have written it in. As you say, the way the table was referred to as Table and plant as Plant was eerie and v clever. I agree. That was the part that I thought it took a unrealistic turn. I also agree that I will not reread this book. It was a scary thing to think about. But I am glad that I did read it. Great review, I agree about the escape, it was very unrealistic.